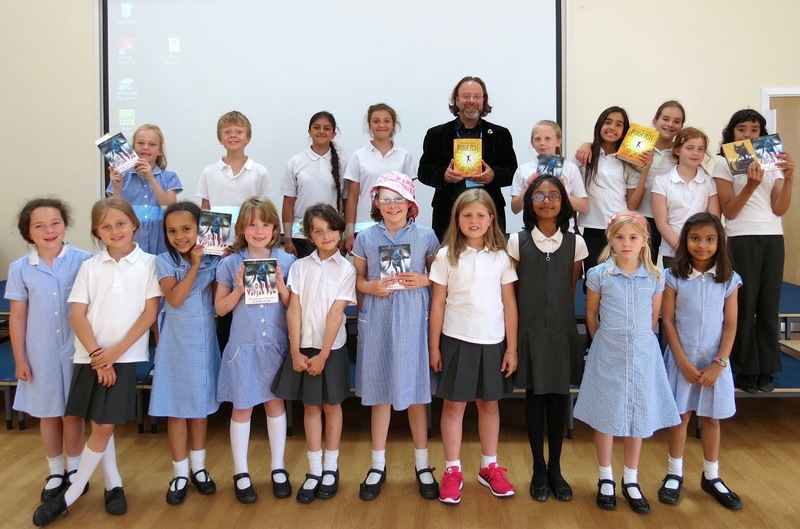 I'd like to say a very big thank you to Mel Taylor of Little Star Writing, who organised a fantastic author event for me at Nelson Primary School last week (and took all these awesome photos!) – and thank you to all the brilliant Year 6s, 5s, 4s and 3s I met, who gave me such a warm welcome! It was wonderful to see so much enthusiasm for books and reading! In fact, there were so many brilliant questions, we didn't have time to answer them all. So if anyone out there still has any questions, either about my books or about writing in general, this is the place to ask them. Just leave me a comment below, and I'll be happy to answer! It was then a real pleasure to join Mel and the Little Star Writers for a creative writing workshop. I heard some truly amazing stories, including one that I will never forget, written from the point of view of a pair of scissors! It was inspiring to see such creativity in action, and I hope they enjoyed it as much as I did!